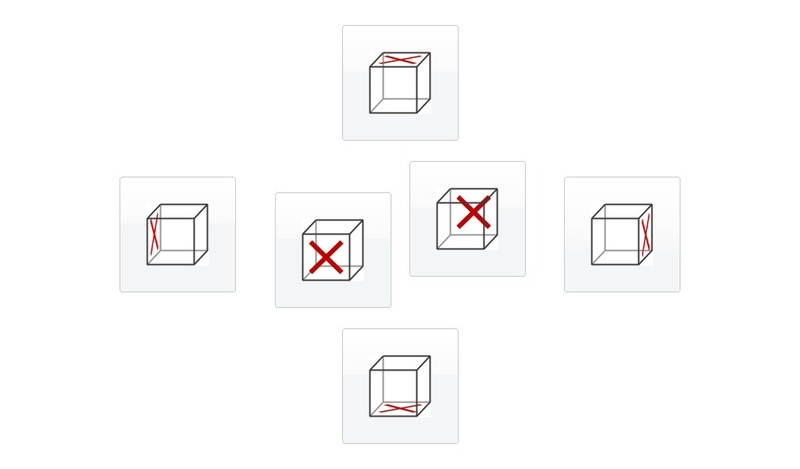 Cube Rotation Test addresses spatial orientation capacities. The test requires its taker to imagine lateral tip-overs on a cube and tell its final position. Imagine a cube with an X on one of its six faces. The test will announce the initial position of the cube and a sequence of lateral tip-overs using the instructions left, right, front, back.